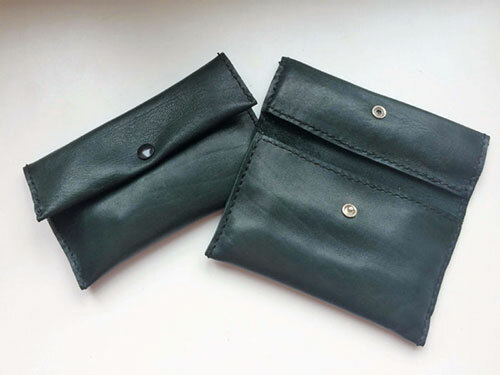 This post contains a super easy leatherworking tutorial for beginners. You don't have to have a ton of tools and you don't have to cut out anything tricky here. You'll end up with a cute little bag/clutch. 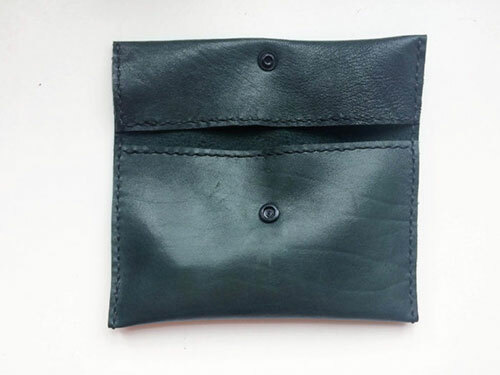 After buying some leather at Lorraine Fabrics, I wanted to try out some hand sewn leather crafting projects, but I wanted to start with something really simple, just to get the hang of things. 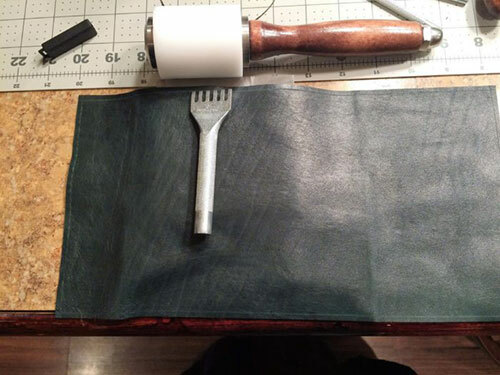 See also my post on tips for sewing leather on a sewing machine. 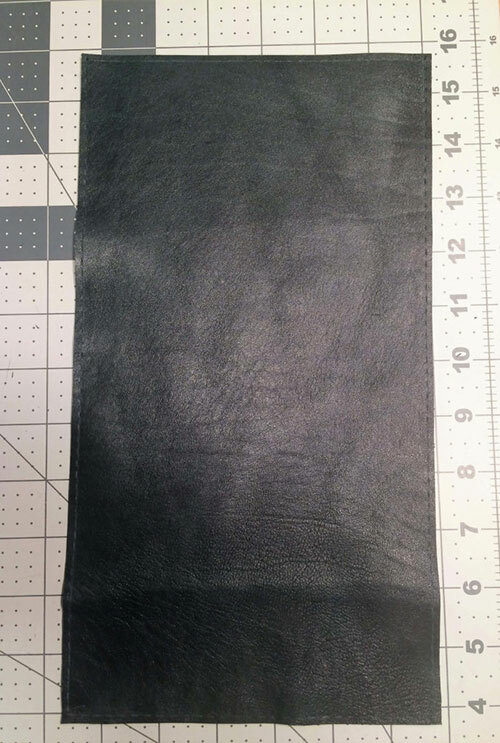 See this tutorial for information on how to prepare your leather for sewing using the groover and punch sets mentioned above. 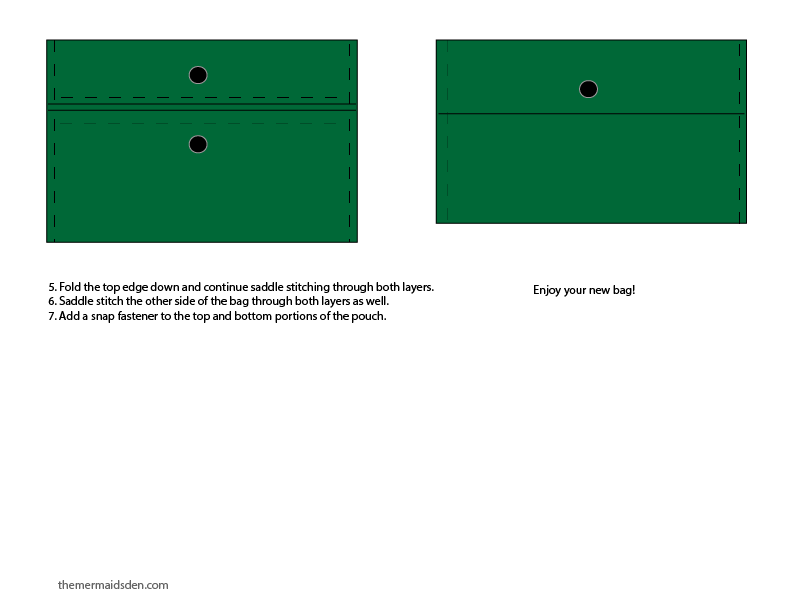 See this tutorial for information on how to saddle stitch. 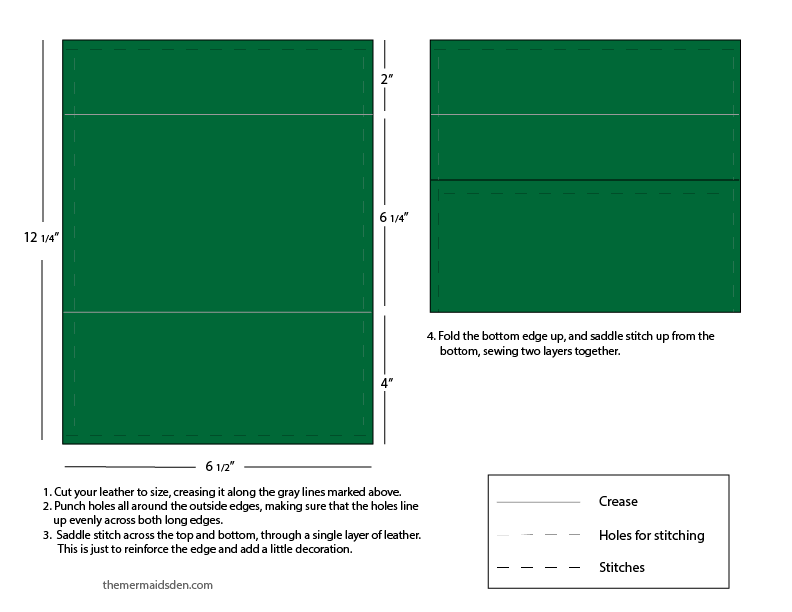 This is the type of stitch most often used when hand-sewing leather. You can see the groove along the edge of the leather, and the holes that have been punched around part of the piece. Here's the entire thing after punching holes for stitching. Note also where it has been creased for later folding. 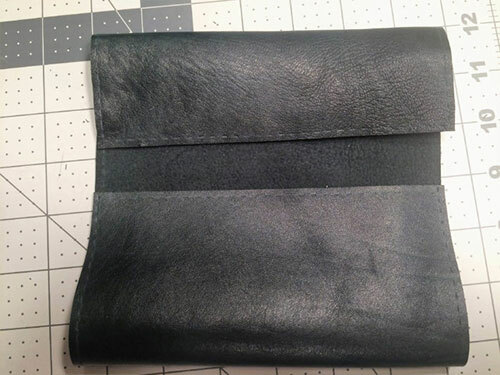 And another test fold showing what the complete, closed bag will look like. And here's the finished bag!